When searching for healthy pancake recipes online one day I came across this recipe for banana pancakes. It sounded interesting, but very healthy so I gave it a try. This is now my favorite Saturday morning breakfast. 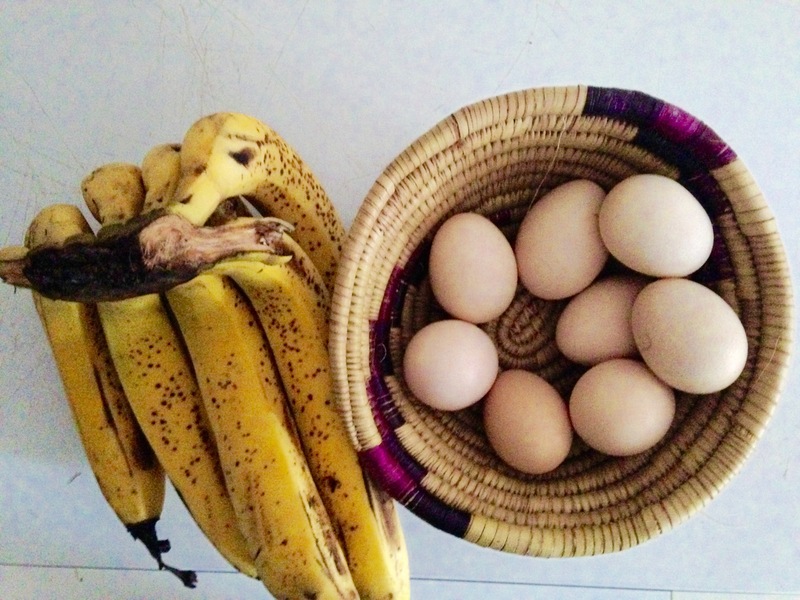 The ingredients are so simple you wont believe it: Eggs & Bananas. Seriously. Its so delicious! 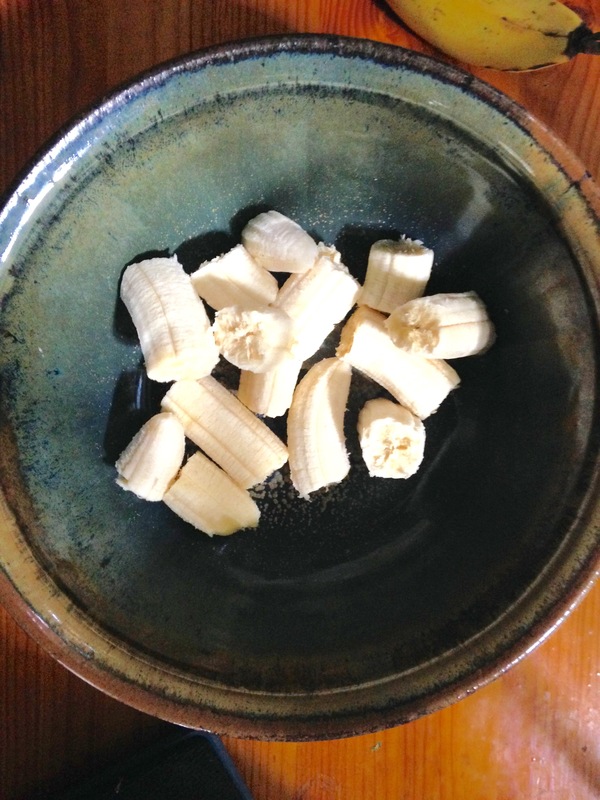 In a bowl smush the banana until smooth and not lumpy. 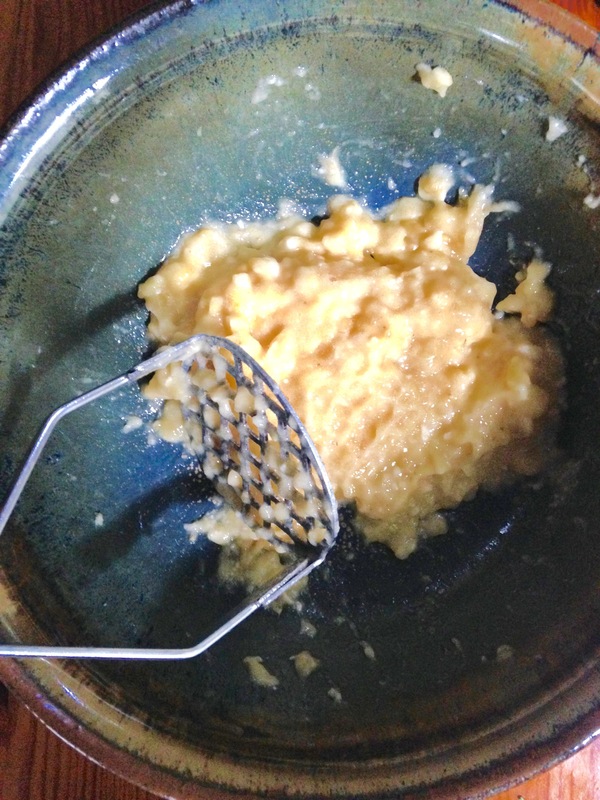 With a fork or whisk, whisk together the banana mush and eggs until smooth. 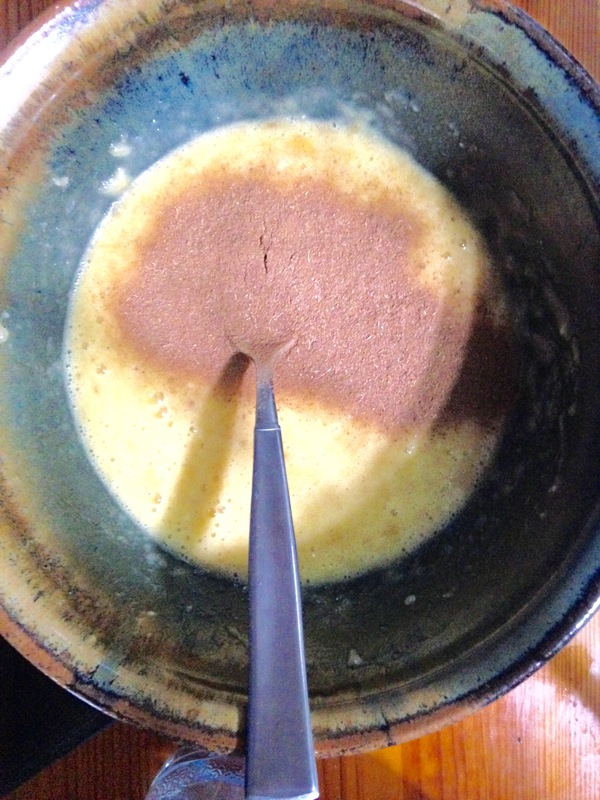 I usually add about 1-2 Tablespoons of cinnamon. But this is optional. 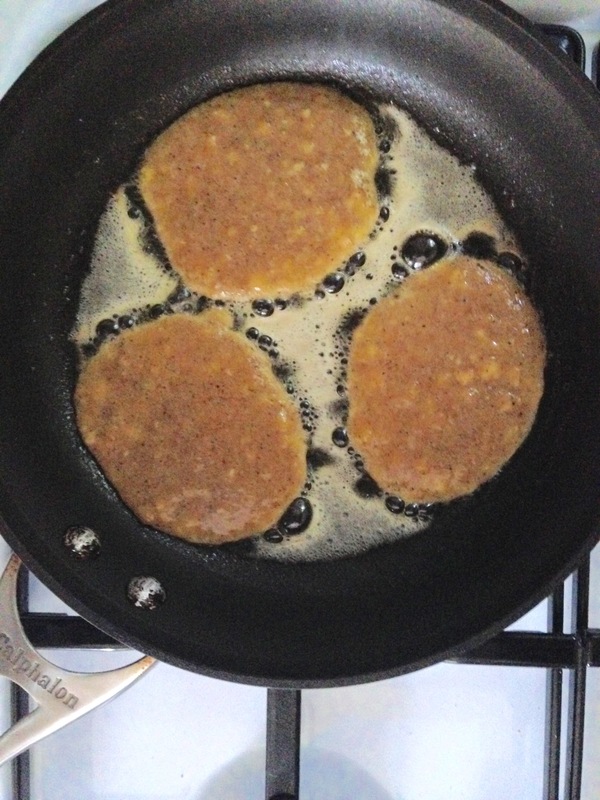 In a frying pan melt 1-2 tablespoons of coconut oil or butter (I use butter). Using 1/4 cup measurments pour pancake batter in frying pan. 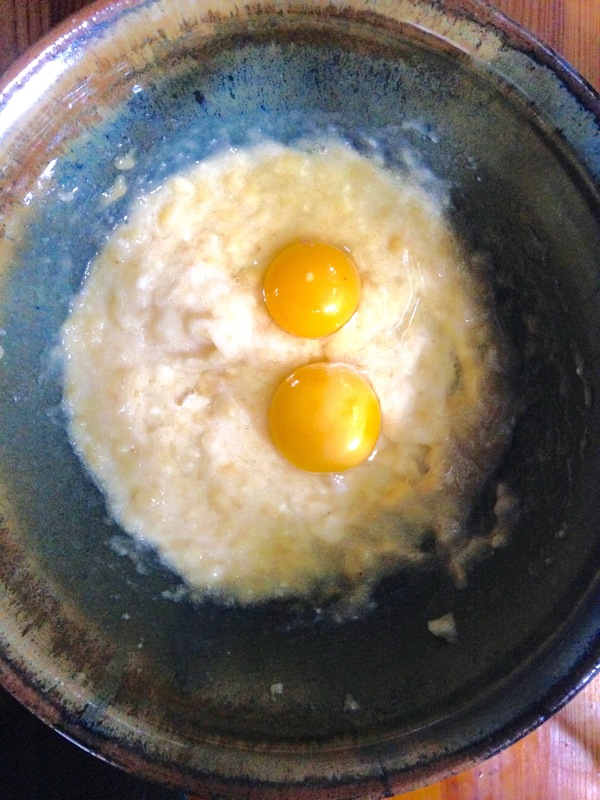 cook until bottom side is brown or crispy looking then flip and cook the other side. Top with your choice of yummy toppings and enjoy! 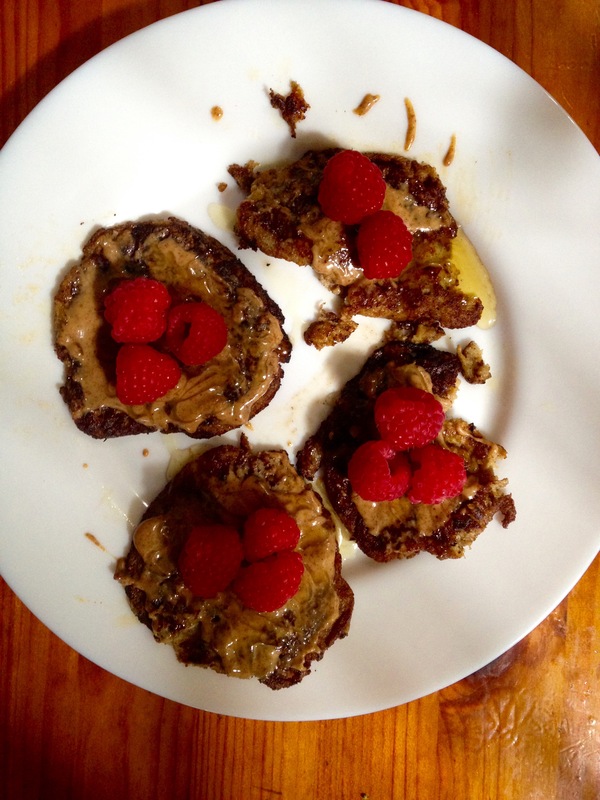 I usually top mine with almond butter, natural organic honey (from my father-in-law), and fresh raspberries. So yummy!